Division facts are introduced gradually and practiced comprehensively. Short division is practiced and followed by divisibility rules. Long division is introduced and practiced interactively. 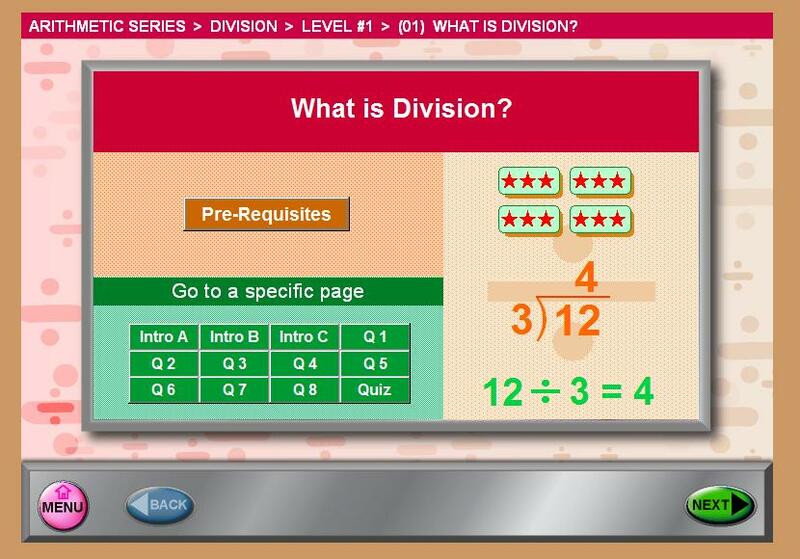 Since long division is one of the most challenging arithmetic topics to be studied, students are given ample practice in this, the longest section in the program. All sections have corresponding division worksheets, including long division worksheets. Additional topics included in this division program are also appropriate for older students: Averages, Order of Operations, Probability, Charts and Graphs, and a large word problem section using the four arithmetic operations studied in the series. Division is the fifth and last program in the "Arithmetic Series" and concludes the study of operations on whole numbers. Simple division is studied (dividing by a single digit), followed by an intense study of long division. This math software for 5th grade division will help the students gain confidence and expertise through interactive step-by-step practice. 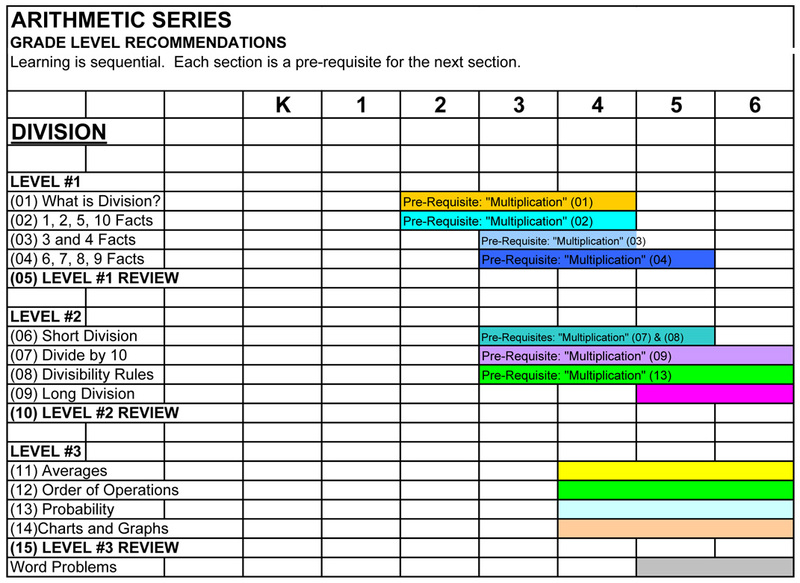 Division worksheets of each section are printable for class work or homework. Students who have completed this 5-program series successfully will be able to continue their studies with the Basic Math Series.